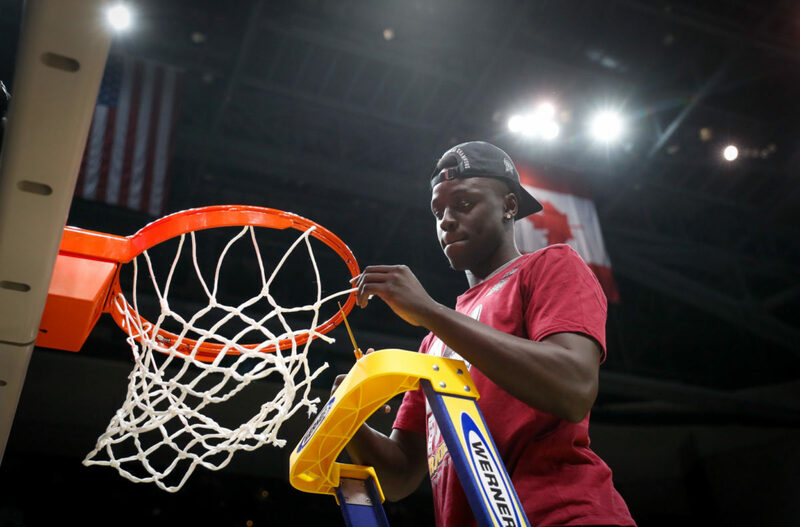 Steve Woltmann | Loyola Athletics Redshirt sophomore guard Aher Uguak cuts down the net after Loyola's Elite Eight victory over Kansas State. As the Loyola men’s basketball team was in the midst of its Final Four run last year, 6-foot-7 forward Aher Uguak was behind the scenes gearing up for the 2018-19 season. He was sitting out due to NCAA transfer rules after coming to Loyola from University of New Mexico, and head coach Porter Moser said he’s a key figure in maintaining the program’s success. When the final buzzer sounded in Loyola’s 69-57 loss to University of Michigan March 30, the 2017-18 season came to an end — as did Uguak’s sit-out year. Now, he said he’s ready to make an impact. 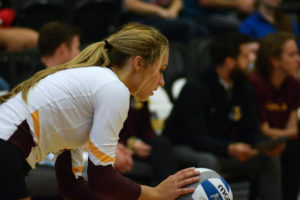 Uguak — whose first name is pronounced “Ah-Heer” — transferred to Loyola after one year at the University of New Mexico due to a coaching change. As a first-year in 2016-17, he averaged 1.2 points per game and 0.7 rebounds per game in 19 appearances for the Lobos. New Mexico associate head coach Chris Harriman played a key role in Uguak’s journey to Loyola, according to Moser. The two coached together at Saint Louis University from 2008-11, and Harriman reached out to Moser about recruiting Uguak. Moser said his athleticism is what caught his eye. Uguak, an advertising and public relations major out of Edmonton, Alberta, said he partly came to Loyola because he was already familiar with Chicago; his cousin, Luol Deng, played for the Bulls from 2004-14. 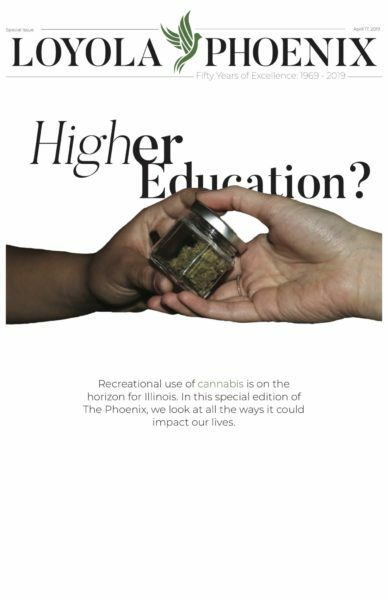 When he made the decision to go to Loyola, he said not many people knew where the university was located. That’s changed since last year’s Cinderella run, and he said he’s glad he got into the program at the right time. Moser has had success with transfers over the last three years. In 2015-16, Clayton Custer sat out after transferring from Iowa State University and Marques Townes did the same in 2016-17 after leaving Fairleigh Dickinson University. Both made an impact during the NCAA Tournament, hitting game-winning shots against University of Tennessee and University of Nevada, respectively. Custer, now a redshirt senior and 2018 Missouri Valley Conference (MVC) Player of the Year, said the sit-out year is hard because players watch their teammates play in games and can’t compete with them outside of practice. He said he helped Uguak adjust to only being able to practice by telling him to treat practice as he would a game. Custer, who’s played with two players who ended up on NBA rosters in his time at Loyola, said he thinks Uguak is going to be a crucial piece to the Ramblers’ roster this season. After looking at “way-too-early” season previews from college basketball writers across the country, he said he sees Uguak as a weapon Moser can pull out of his back pocket. Uguak and the Ramblers are scheduled to play in an exhibition game Oct. 23 against Winona State University at Gentile Arena. But is the relevancy of this same with entire page, they don’t know. Magnificent items from you, man. I have have in mind your stuff previous to and you’re just extremely fantastic. and you still take care of to keep it sensible. I can not wait to learn far more from you. She built an easy blog-based website offering valuable information on dating website. put in writing this website. I really hope to see the same high-grade content from you later on as well.